Since 1872, when England and Scotland played their first international match (0-0), more than two hundred countries followed in their footsteps. Some of those national teams wished they had waited a bit longer, as they were crushed by the opposition. Here are eight devastating debuts of overall pretty decent national teams. When Ireland planned their first international game back in 1882, they were the fourth country to do so. Only England, Scotland and Wales (1876) were already playing matches among each other. Ireland chose England to be their first opponent ever. Perhaps Wales (one victory and eight defeats until then) would have been a better choice – although Ireland lost their second international match 1-7 against the Welsh a week later. Anyway, the hapless Irish lost 0-13 to England, with the Aston Villa-duo Oliver Vaughton (inside-left) Arthur Brown (inside-right) causing most of the damage. The English goals were scored by: Oliver Vaughton (5), Arthur Brown (4), James Brown (2), Edward Bambridge (1) and Henry Cursham (1). 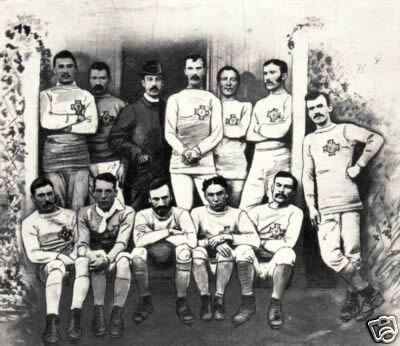 In South America, soccer was introduced by English and Scottish sailors in the nineteenth century. After nine years of national league in Argentina and just two in Uruguay both countries met for the first time in a official game in 1902, in Montevideo. For both countries it was their first match ever, but Argentina proved to be superior, winning 6-0. Looking at the line-ups, there was a large influence of Argentina-born Englishmen on the Argentinian side, which surely made their victory easier. 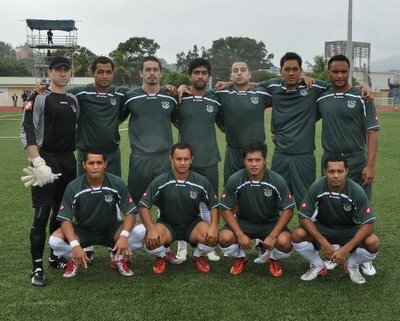 Enrique Sardeson – Carlos Carve Urioste – Germán Arímalo – Miguel Nebel – Alberto Peixoto – Luis Carbone – Bolivar Céspedes – Gonzalo Rincón – Juan Sardeson – Ernesto Bouton Reyes – Carlos Céspedes. The Argentinian goals were scored by Juan O. Anderson, Jorge Gibson Brown (one of five brothers that dominated Argentinian soccer in those days), Edward O. Morgan and Carlos Edgard Dickinson. Uruguayans Carlos Carve Urioste and Germán Arímalo both scored an own goal. Soccer in Austria and Hungary at the start of the twentieth century evolved nearly exclusively around the capital towns of Vienna and Budapest. It would remain that way for the next forty or even fifty years. So when both towns decided to play a match against each other, it was first labeled Vienna against Budapest. In retrospect, it was more appropriate to upgrade this match to the first international match for both countries, which happened. Gyula Bádonyi - József Berán - Emil Gabrovitz – József Koltai - Imre Pozsonyi - Róbert Bayer – István Buda - Bertalan Steiner - József Pokorny - Alfréd Hajós - Károly Oláh. The Austrian goals were scored by Jan Studnicka (3), Josef Taurer (1) and Gustav Huber (1). Man of the Match Studnicka celebrated his 19th birthday on this very day. Just like Ireland – who lost 23 of their first 25 matches - maybe Norway in 1908 wasn’t quite ready either, to compete at international level. But when the Swedish FA sent them an match- invitation, the Norwegian players were very excited and eagerly accepted. On July 12, 1908, Sweden proved their strength in their hometown Gothenburg, winning 11-3. On the bright side, Norwegian Norman Minotti Bøhn was singlehandedly responsible for the best start of a national team in history. He scored – after dribbling past a few Swedes – the first goal of the match, after only fifteen seconds! Bøhn scored another goal and so did Hans Endrerud, to give Norway some confidence in their ability, despite the double digits at the end. It took Norway until 1918 (27 matches) before they could finally claim their first victory (3-1 against Denmark). Sverre Lie – Macken Widerøe Aas – Wilhelm Brekke – Harald Johansen – Poul Houmann – Arvid Johansen – Fridthjof Skonnord – Victor Nysted – Hans Endrerud – Norman Minotti Bøhn – Tryggve Gran. The Swedish goals were scored by Erik Börjesson (4), Erik Bergström (4), Karl Gustafsson (2) and Hans Lindman (1). In the early twentieth century, only Argentina, Uruguay and Brazil had decent national teams in South America. Chili joined play in 1910, but could not win a single match until 1926. In 1919, Paraguay thought it was time for a national team as well. They decided to start in a laid-back way, though. While Argentina, Brasil, Chili and Uruguay were starting to compete at the South American Championship in Rio de Janeiro, Paraguay invited Argentina for its first official match. Argentina agreed, but could only send a B-team to play in Asunción. A crowd of 4000 spectators saw an easy 5-1 victory for Argentina. Paraguay then changed the whole team for the second match, and lost 3-0 four days later. This match only lasted 52 minutes, as extreme rainfall ruined the pitch for further play. On the upside, this match fielded the first superstar of Paraguayan soccer, Manuel Fleitas Solich, who later played for Boca Juniors in Argentina and was the most successful Paraguayan national coach of all time, winning the South America Cup in 1953. Venancio Martinez - José Ríos Careaga - Ramón González – Ranulfo Benítez - Waldino Brítez - Angel Hermosilla - Carlos Casabianca - Wilfrido Carreras - Clemente Ferreira - Faustino Casado (1) -Bernabe Núñez. The Argentinian goals were scored by José Laguna (2), Alberto Enrique Ochandío (2) and Pascual Polimeni (1). Two years later, Laguna became the first national coach of Paraguay. Competing already at the 1920 Olympics in Belgium the one year old independent state of Yugoslavia showed what sports-crazy people live there. Nonetheless their performance was poor, that early morning of July 28th. Goalkeeper Dragutin Vrdjuka kept a clean sheet for twenty minutes, then adversary Czechoslovakia (also a new country, but with lots of soccer experience) scored their first goal through centre forward Jan Vanik. It ended 7-0, with Czechoslovakia later in the tournament winning the silver medal, losing a heated and disputed final against host Belgium. Yugoslavia lost against Egypt (2-4) in the consolation round, with captain Artur Dubravcic scoring the first international goal ever for his country. Three years later, in 1923, the first national league was disputed in Yugoslavia, slowly improving the standard of play. Dragutin Vrdjuka – Vjekoslav Zupancic – Jaroslav Sifer – Stanko Tavcar – Slavin Cindric – Rudolf Rupec – Dragutin Vragovic – Artur Dubravcic – Emil Perska –Ivan Grane – Jovan Ruzic. The Czechoslovakian goals were scored by Jan Vanik (3), Antonin Janda (3) and Josef Sedlacek (1). While Athens, Smyrna and Thessaloniki (the last two part of the then Ottoman Empire) already competing at the 1906 unofficial Olympic games in Athens, political turmoil prevented soccer to evolve. It took until 1920 before Greece played its first real international match. Again, the Olympics were the stage, and Sweden was the opponent. And it went terribly wrong. 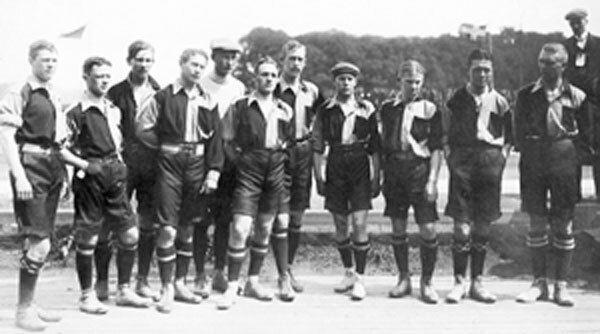 The experienced Swedes – neutral during the First World War – played against a torn country. The 9-0 victory really was no surprise. After this, Greece stayed away from the international scene until 1929. Andonios Fotiadis – Agamemnon Gilis – Nikolaos Kaludis – Dimitrios Gotis – Apostolos Nikolaidis – Hristos Pepas – Yeorgios Kalafatis – Ioanis Andrianopoulos – Teofilos Nikolaidis – Yeorgios Hatziandreou – Theodoros Dimitriou. The Swedish goals were scored by Herbert Karlsson (5), Albert Olsson (2), Albin Dahl (1) and Ragnar Wicksell (1). Greece seems to be a bit reluctant to acknowledge this dramatic debut. As the Greek Football Association was only established in 1926, and nowadays Greece being different from the Greece of 1920, they forgot about this match and claim a 1-1 draw against Bulgaria in 1929 as their debut. But 1920 really did happen…. Apart from Albania, Bulgaria was the last country of the Balkan region to form a national team. The conditions were poor; there wasn’t a single grass pitch in the county until after 1945. Before communism, level of play was far below average. Bulgarians had other things to do, as the country was known as the powder keg of Europe in the first quarter of the twentieth century. The Bulgarian FA was founded in 1923, and one year later they travelled to Vienna for their first international match. They lost 6-0, which wasn’t all that bad, considering that Austria was one of the leading teams on the European continent at the time. Peter Ivanov – Aleksandar Hristov – Simeon Yankov – Gheno Mateev – Boian Byanov – Dimitr Manolov – Dimitr Mutafchiev – Nikola Mutafchiev – Tsvetan Genev – Konstantin Maznikov – Kiril Yovovich. The Austrian goals were scored by Hans Horvath (3), Max Grünwald (2) and Leopold Danis (1).